Prof. Hecht is currently the Head of Chair of Rail Vehicles, Department of Land and Sea Transport Systems at the Technical University of Berlin. In 1982 Prof. Dr.-Ing. Hecht received his diploma from the RWTH Aachen University of Applied Sciences, specialising in traffic technologies. He worked as a research assistant at the Chair and Institute for Conveyor Technology and Rail Vehicles at the RWTH Aachen 1982-1987. In 1988, he received his Ph.D. degree on the topic of Track Measurement with Prof. Frederich. 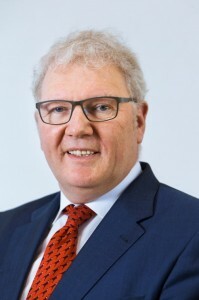 From 1988 to 1997 he worked at Swiss Locomotive and Machine Works (SLM), Winterthur, latest as Head of Measurement Technology and Deputy Head of Engineering and Development, SLM. In addition to his teaching and research activities, Prof. Hecht works in various committees of the university: Institute Council, Examination Board, Traffic Studies, case-by-case commissions. Prof. Hecht is an auditing observer, a Bafög representative for the course of studies in traffic engineering, and a tutor and liaison professor for foreign students. He is the deputy head of the research group “Silent Traffic”. He is a member of the EU expert network EURNEX. In 2002, he was appointed Advisory Professor of the Tongji University of Shanghai. To get in touch with Prof. Hecht, please write to him here.